In a classroom at Harris County Department of Education’s Academic and Behavior School West, Camden Cotlar is one of about six students quietly working under the supervision of two teachers. 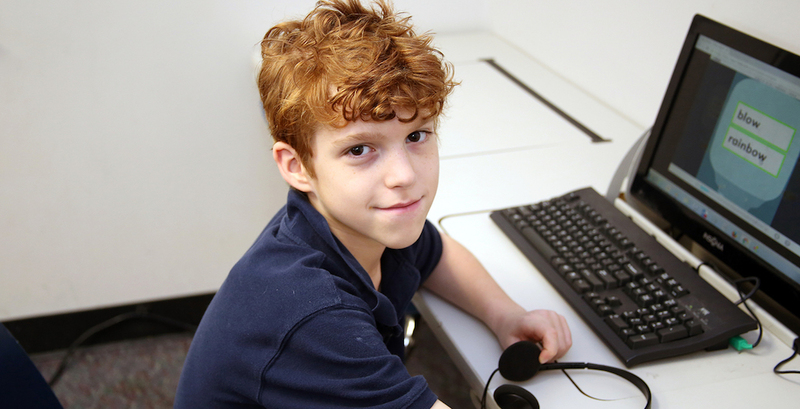 His wavy red hair is nearly all that makes Camden stand out physically from his classmates, each of whom remains focused on an activity or computer-based test. Then, Camden raises his hand. He waits to be called on. “Ms. Jones, there’s a possibility of a virus on this computer,” Camden says aloud. While the five-syllable “possibility” may seem advanced for the typical ABS West fifth-grader (especially a self-described “class clown” who calls lunch his favorite subject), it’s also a word that tellingly points to Camden’s unique situation. ABS West, with its specially trained staff and small class sizes, has made room for possibility in Camden’s life. According to his mother, Cheri Cotlar, that wasn’t always the case. “He is very bright, very gifted — but also very challenging,” she says, explaining that while Camden has had a string of good conduct in recent months, he has a history of difficult behavior. According to ABS West Principal Victor Keys, Camden has the handicapping condition of emotional disability. His behavior, which included aggression toward both peers and adults, and wandering out of classrooms at previous public and charter schools, used to lead to a number of parent phone calls. Cotlar, a nurse by profession, said it interrupted her work life and kept her on a part-time schedule. Now, thanks to the friendly and capable staff at ABS West, Cotlar feels that her son is finally getting the specialized education suitable to his learning style. She says that Camden, like many children with ADHD, is “a little behind” socially, but he’s made progress at ABS West. “Matthias, Leo…,” Camden begins, rattling off a list of his best friends. “Three years ago, he couldn’t talk about friends,” Cotlar says. Cotlar credits the environment at ABS West for helping Camden both in and out of the classroom. “That just doesn’t happen at bigger schools,” she adds. Camden is aware of the connection between his behavioral history and the number of schools he attended before finding a home at ABS West. Most recently, he attended Harmony Public Schools, which contracted with Harris County Department of Education to enroll him at ABS West. Cotlar says she imagines that there are many more students in schools across the area who could thrive, as Camden has, at a campus like ABS West. 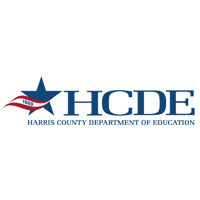 Harris County Department of Education helps school districts in the state’s largest county meet the needs of uniquely challenged learners, directly serving students at their schools or one of four HCDE-operated campuses across the county. These campuses are equipped with specialized support programs and two teachers for every six students. Learn more at our website. HCDE helps students achieve, providing services for at-risk students and their teachers, educators and school districts in Harris County.